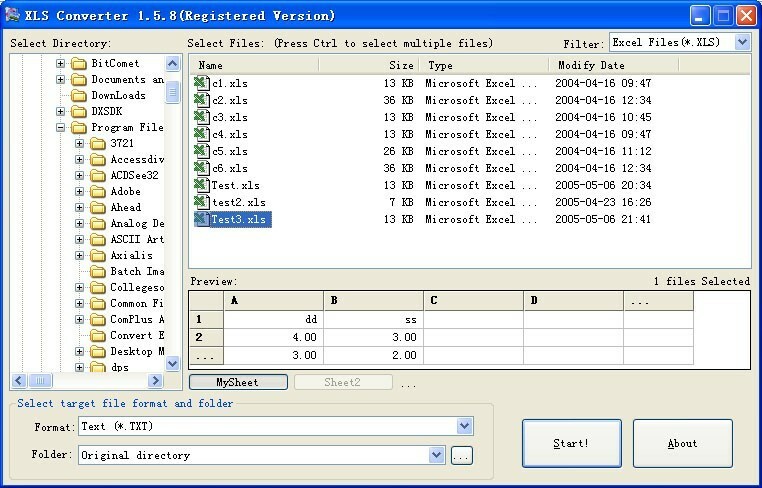 XLS Converter can easily convert the excel file to txt, html, csv, mdb, dbf,etc. The processing is as quickly as possible. MS Excel is doesn't required! The interface is very neat and very powerful, you don't need to open windows explore first, you can select the directory from folder tree in the program, and then the files will list in the right pane, depend filters you have chosen, other files will not list in it!